Niccolò Andria was born in this house which is situated in Massafra (Vico casa di Niccolò Andria, 4). 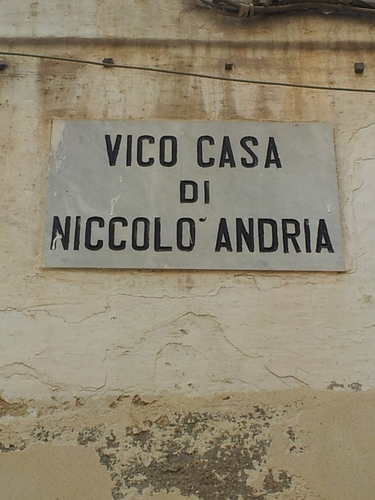 In 2014 we remember the second centenary of the death of Niccolò Andria. 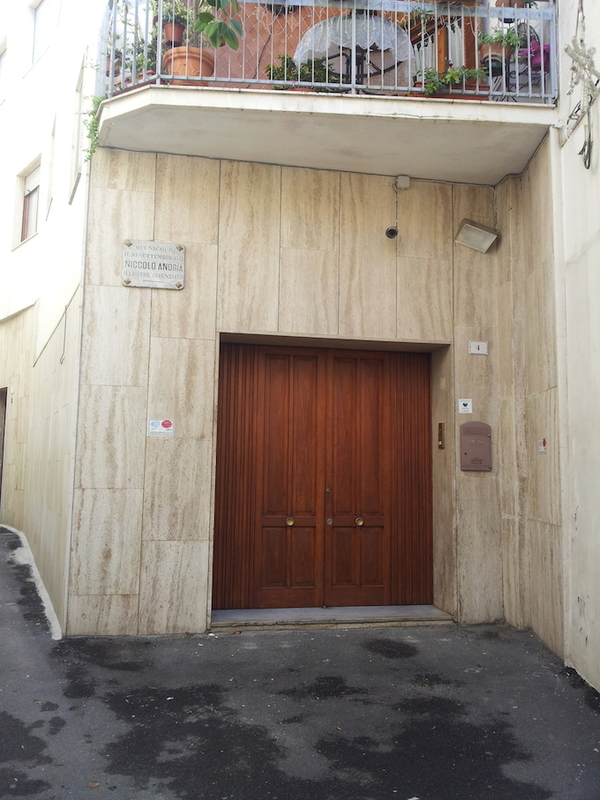 After moving to Naples to attend university, he never returned to Massafra. There is no documentation about the veracity of the birthplace of Niccolò Andria, but it is an oral tradition of the nineteenth century. 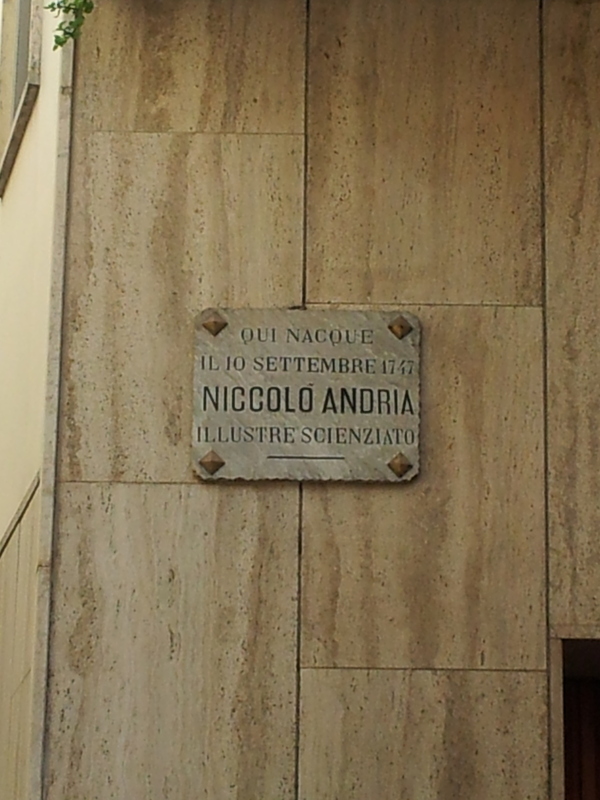 In fact there is a plaque which says: "Qui nacque il 10 settembre 1747 Niccolò Andria illustre scienziato" (Niccolò Andria, illustrious scientist, was born here on September 10th, 1747). The memorial plaque indicating Dr Niccolò Andria's birthplace. Photos by Francesco Pirinu (December 2013).